Lisa Nebeker is a graduate of Idaho State University, where she received her BS in Secondary Education with an emphasis in mathematics. She later earned certification in Spanish and Online Teaching. She began her teaching caeer at Murtaugh High School in 2003. 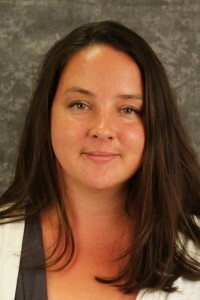 She joined the Idaho Digital Learning team as a part-time teacher in 2010 and moved to a full-time position in 2014. Lisa currently works in the Idaho Digital Learning Math Department, where she serves as a Mentor Teacher and teaches cohort, hybrid, and dual-credit math courses. Apart from teaching, Lisa enjoys time with her husband and four children.